Who Are the Readers of the Middle-to-high Level Popular Science Book: A Case Study for Shanghai Scientific and Technological Education Publishing House. 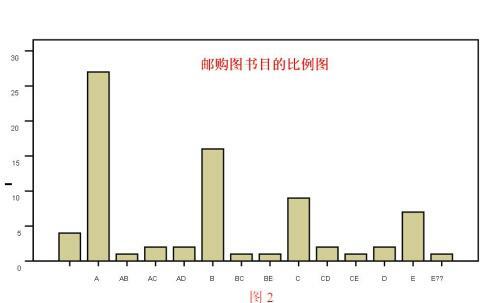 This paper, taking the Middle-to-high level popular science books published by Shanghai Scientific and Technological Education Publishing House as case study, and gathering statistics on related book mail order, is worked out through the ready-designed questionnaire. The conclusion is drawn, basing on the analysis of the callback questionaires, that “Folk Scientists” are the important target audience for the popular science books of middle-to-high level . i 波兹曼. 章艳译. 娱乐至死[M]. 广西师范大学出版社. 2004. 69.
ii 波兹曼. 章艳译. 娱乐至死[M].. 广西师范大学出版社. 2004. 83-84.
iii 资料来源:全国书报刊出版统计资料.转引自: 成元君 赵玉川. 科技图书出版物发展影响科学传播水平的实证研究[J]. 科普研究 2007（2）10. iv 董青. 科普出版现存问题及建议. 出版参考. 2005年8月上旬刊. 27.
vii 田松. 民间科学爱好者的基本界定及其成因分析[J]. 自然辩证法研究. 2003 (7). 56.
viii 田松. 永动机与哥德巴赫猜想――江湖中的科学[M]. 上海：上海科学技术出版社. 2003.12-15.
ix 田松. 永动机与哥德巴赫猜想――江湖中的科学[M]. 上海：上海科学技术出版社. 2003.6-7.
xii 赛佛林坦卡德著. 郭镇之等译.传播理论――起源、方法与应用. 北京：中国传媒大学出版社.2006. 170.